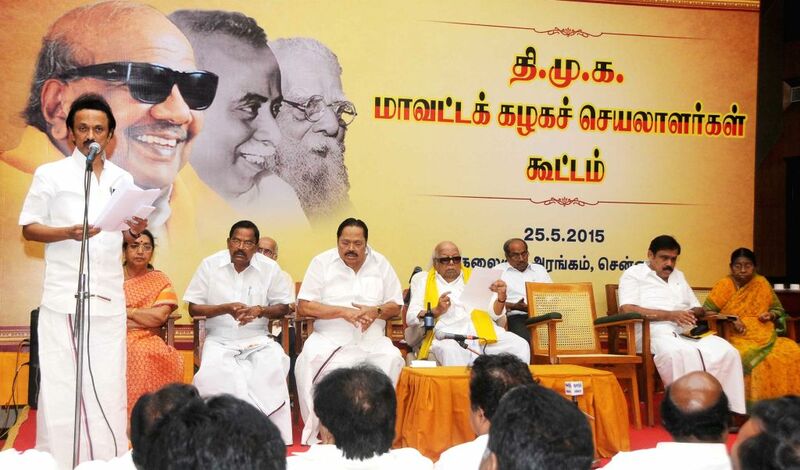 Chennai: DMK chief M Karunanidhi addresses during a DMK`s district secretaries meeting in Chennai on May 25, 2015. Also seen DMK treasurer M K Stalin and others party leaders. 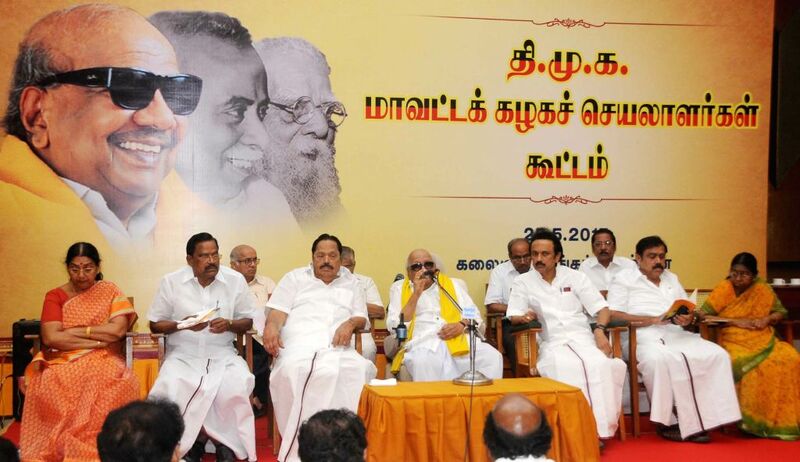 DMK treasurer M K Stalin addresses during a DMK`s district secretaries meeting in Chennai on May 25, 2015. 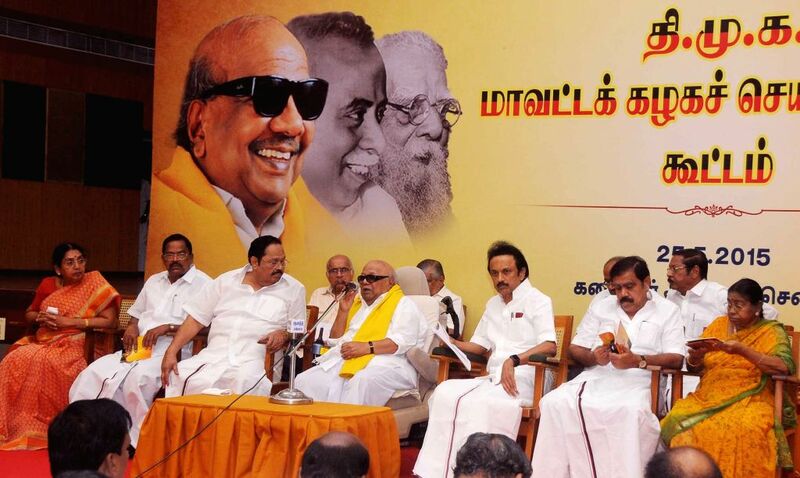 Also seen DMK chief M Karunanidhi and others party leaders.